I don’t believe I am seeing this kind of thing. 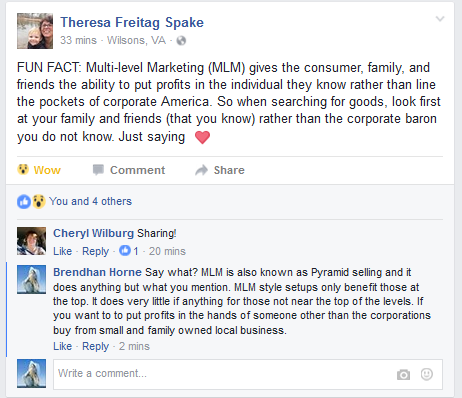 So when you really don’t have a clue as to what you are talking about, you claim it is a fact. 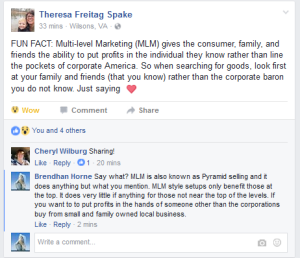 I cannot believe that someone claimed that MLM was a way to benefit the people and not the corporations. Previous PostBecause the bible is not a history book.Next PostChristians don’t need to help anyone. Ok you have made it this far. You obviously must be bored and have nothing better to do with your life. Christians don’t need to help anyone. Because the bible is not a history book. Perhaps being a loser is genetic. I don’t think you understand what moral means.